The place to call home...beautiful corner villa with glistening lake views on two sides of the home. 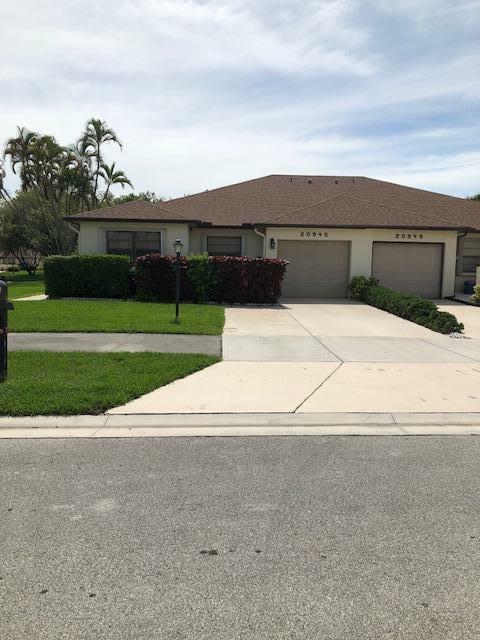 This 3 bedroom, two bath was designed specifically by the builder for this lot with enclosed Florida room for additonal living space and and a side patio off kitchen. Expansive living room/dining room . Entire home is immaculate with freshly painted interior and tiled throughout. Renovated eat in kitchen, stainless steel appliances, NEW electric panel, and hurricane shutters. Wonderful all age community is located in small enclave of homes with clubhouse, pool/spa, jogging trails and tennis courts. Close to major shopping areas and A rated schools. For more information visit www.concordgreenboca.com.